Beetroot is easily available vegetables/root all the time. We can make many recipes using this beetroot like subji, halwa, poriyal, sambar, curry, etc. The specialty of this root is its color which is very good for producing blood in the body. Lets make the subji /poriayl using this beetroot. Heat a pan and add ghee. Once ghee melted, add cumin seeds and bay leaf. Once cumin turns into brown, add chopped onion and cut beetroot. Close with the lid and cook for 4 minutes. Then add red chilli powder, Turmeric powder, Coriander powder , salt and stir it. Cook for another 3 minutes. Now add grated coconut and stir it. Natural face mask to get rid off scares caused by pimples. 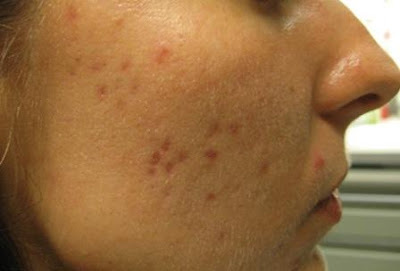 It's normal to get pimples during adolescence by hormonal variations. To cure these scares caused by pimples, there are natural medicines(home remedies) available. Its better to use these home remedies instead of applying chemical creams. If we use these remedies, the scares and pimples will disappear and also face will be get fresh and glow. Now let's see few tips to get rid off pimples and black scares caused by pimples. Take little dill leaves and grind into fine paste. Apply this paste on the face and keep it for 30 minutes. Later wash your face with clean water. If we follow this steps daily, the scares gets disappear gradually. Take little dill and boil in the water. Then leave it to get cool down. Apply this water on the face scares where it is. Also, use this water for washing your face. Don't wipe your face after that. Let it get dry with air. By doing this also you will see the best result. Massage the the parts where pimples and its scares exists using olive oil. You will get better results. Take out the gel part from aloe Vera and keep it for sometime. In few minutes this gel will get melted and become watery. Apply this liquid daily on your face. Within few days, the black pimples and scares will disappear. Do you like this tips? Share to your friends and subscribe. Wash the cluster beans and cut into pieces. Grind the cluster beans slightly in the mixer grinder. It should be coarse. mustard start spluttering add broken red chilli and chana dal. Once Chana dal turns into golden in color, add chopped onion and curry leaves. Then add coriander powder, chilli powder, salt and stir it. Cook for five minutes. If required just sprinkle some water. Once cluster beans cooked, add grated coconut and stir it. Now wonderful and easy cluster beans poriyal/vepudu is ready to serve. Orange fruits used to be available for cheap price during the winter season. Winter is the best season for these fruits. Many people will buy much at this time and store. Accordingly, it is filled with large amounts of nutrients. In addition to eating these fruit, if we maintain hair using orange, your hair will be very healthy and strong without any problem. Can not be able to believe? Try using the orange fruit as below and you will understand the power of orange. If you use Orange fruit, Especially for those who are suffering from hair loss problem, you will be escape from trouble instantly. OK, now let's see what all are the benefits of using orange fruit for hair. Vitamin C and bio-flavonoids in orange, increases blood flow to the scalp and prevent hair flaking and increases hair growth. 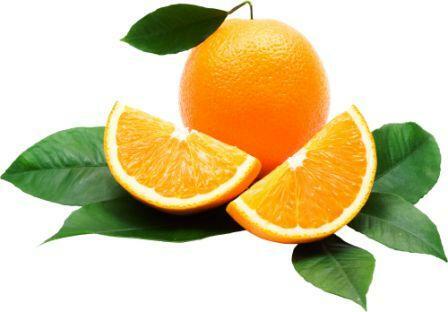 In addition, Orange has folic acid which is necessary for hair growth. After head bath, Applying orange juice with little honey on the hair and rinsing after 15 minutes will make the hair very soft and silky. This is the best conditioner. Hair fall will happen even if the hair is not strong enough. Massaging the head with orange juice will make hair very stronger. We can use orange juice to make density of hair and silky hair. For this need to apply orange juice on hair for 20 to 25 minutes with little milk or honey. Then need to rinse the hair. Orange skin is the best solution for dandruff problem. For this need to make smooth paste of orange skin and need to apply on hair for 25 minutes. Then we have to take head bath with good shampoo. Orange skin will helpful to keep your scalp and hair clean. For this, need to soak orange skin in the water over night. Then, in the morning need to massage your hair with this water and soak for 30 minutes. Then need to rinse with clean water. Massaging the hair with orange juice and rinsing will be helpful to get fragrant hair. You will get fragrant naturally for longer time. If we go to Newyork city, no need to worry about food. Because we will have the many option like small to big restaurants and road side cart foods. Newyork city is well know for its unique style food called Chicken over rice/Mutton Over rice. For a try we made it it home kitchen with the same steps and it turn out very very good. And the taste fantastic. So no longer need to go to Newyork for chicken over rice further. Let's see how to make. Three steps involved to make this recipe. Mix all the ingredients mentioned under Stir â€“ fried chicken except butter and marinate over night by covering by plastic bag inside refrigerator. Heat a pan , melt butter and add the marinated chicken stir fry until the chicken turned into golden in color. Now chicken is ready . Keep aside. Grate the cucumber and squeeze out to remove the excess water. Then take the cucumber and Mix with all the ingredients. Now white sauce is ready. Keep aside. Heat a cooker and add the 2 tsp of oil. Then add rice and stir it. The add curry powder and stir it for a minute. Now add the chicken stock and salt. Pressure cook for two whistle and cool down. Mix all the ingredients given under salad. That's all now bring all of them into a single plate. Now your mouth watering chicken over rice is ready to serve. Try at your home and share your comments and suggestions. Share to your friends. 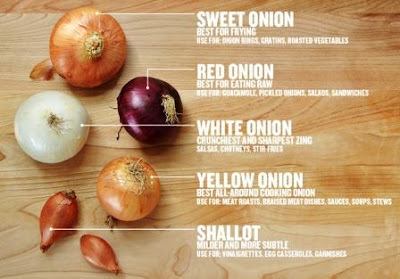 Pearl onion/Shallots, big onion, white onion - Medicinal Benefits! We know that there are pearl onion and big onion. Many of us not aware that there is one more type of onion available in the market called White onion. Among these three, pearl onion is the one has medicinal benefits. Eating a raw pearl onion followed by drinking little warm water will reduce the cold and heal completely. It will heal dysury and strangury as well. During heart palpitations also we can follow the same method of eating a raw pearl onion and drinking warm water. We can do this treatment as first aid whenever heart patient facing these palpitations. Wilting chopped pearl onion with little sesame oil and eating continuously will reduce the blood pressure and it will heal completely after some days. People who has piles needs to eat lot of pearl onion. Drinking buttermilk with chopped onion in it also will helpful. For external piles, need to wilt onion and applying on the impacted area will give good result. Wilted White onion with sesame oil also can be used for piles problem. Pearl onion will be very helpful for who has dandruff and hair loss problems. For these problems need to make smooth paste of pearl onion and then need to add egg white. Then we have to beat like we do for making omelet. Now we could see the mix will pop out with bubbles. Applying this mix on the head and soaking for half an hour and taking head bath with warm water will resolve this dandruff and hair loss problems. For removing the smell of egg white we can use a better shampoo. For good result need to follow this method at least once per week. If scorpion stings, we can rub on the place with crushed pearl onion. It will control if any poison. For bald head also we can rub with crushed pearl onion regularly to get the hair. For getting mustache also we can follow the same method. 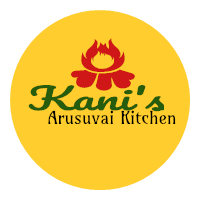 In Tamil "Karunai" means "Kindness" . Its not stopped just in name. It is very healthy for human. It gives kindness to cure many diseases. We would have seen just deep fry or dry recipe using this Yam. For the difference we will make Curry. Tamarind is must with Yam since yam will make the tongue itchy. Adding tamarind will avoid. Let's see how to make. Wash Yam and boil it. Do not over cook either half cooked. It should be 80 to 90% cooked. Then cool down and peal off the skin. Mushy cooked yam like the snap. Take tamarind extract and add to the yam and cook for two minutes. Then cool down. This process make sure the tamarind combined with Yam. Now add two tablespoon of oil in a pan and heat. Once oil hot add red chilli and asafoetida and fry it. Then add chopped tomato and cut onion and stir it for a minutes until it gets translucent. Add salt as per your preference. Now add redchilli powder and turmeric powder and stir it. Once tomato gets mushy, add the yam, tamarind mix and cook for 3 to 4 minutes. Keep stir occasionally to avoid lumps. Now the mouth watering smashed yam curry is ready to serve. Try and post your comments below. Share to your friends.